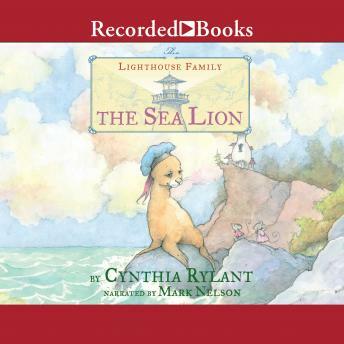 Newbery Medalist Cynthia Rylant brings the peaceful sounds, sights, and characters of the coast vividly to life in the seventh book of the Lighthouse Family series, in which the family cares for a baby sea lion. One morning, the lighthouse family wakes up to find a baby sea lion asleep in their kitchen! The baby, whose name is Topper, explains that his mother left him here and instructed him to wait for her return. Pandora the cat and Seabold the dog are happy to care for Topper, and mouse children Lila, Whistler, and Tiny are excited to make a new friend. Author bio: Cynthia Rylant is the author of more than 100 books for young people, including the beloved Henry and Mudge, Annie and Snowball, Brownie & Pearl, and Mr. Putter & Tabby series. Her novel Missing May received the Newbery Medal. She lives in Lake Oswego, Oregon. Visit her at CynthiaRylant.com.